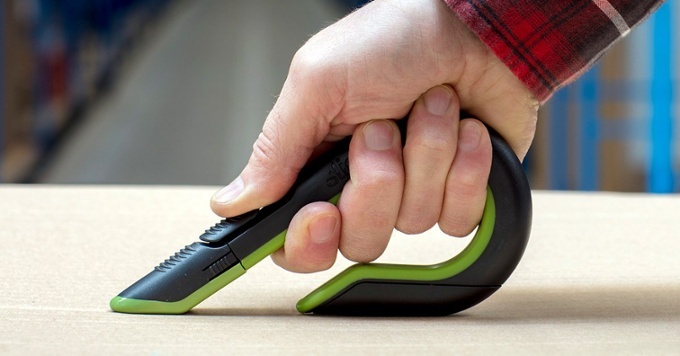 People who work in warehouses, construction sites, or in industrial workplaces will likely use hand tools more frequently, but even office workers use scissors, box cutters, and utility knives. It’s actually in these seemingly “safe” workplaces, like offices, that focusing on safety is most important to emphasize: complacency and lack of awareness are top causes of injury. Also, workers who use tools infrequently are less likely to know how to use them properly. It’s easy to get out of practice regarding the safe use of tools. For jobs that feature fewer regular hazards, tools and equipment safety rules don’t need to be addressed constantly. But having a quick bi-weekly safety moment will help remind workers to be mindful. Cutting tools pose the risks of cuts, lacerations, and punctures. The US National Safety Council ranks these as among the top three types of injuries that keep employees away from work. So, even if these suggestions seem obvious, it’s clear they need to be repeated. These five hand tool safety rules will help keep all workers safe. If possible, have a designated space where your workers use hand tools, especially cutting tools. The physical act of having to go to a specific area to use tools will help workers to be more mindful of the task at hand. Other workers or visitors will also be aware that this is a zone where people are using potentially dangerous tools. It’s an area where they need to be vigilant about safety. This is also a great way to stay organized. Everything having to do with tool use — PPE, tools, cutting mats, and so on — is in one place. Workers don’t have to search to find what they need. This also increases the chances of workers using proper PPE and sanctioned tools. The easier it is to stay safe, the greater the chance that workers will fully comply with all protocols. Having a specific designated area for tools will also make inventory easier to track. If something is missing, it will be obvious. The safe use of hand tools starts with tools that work well. For cutting tools, that means that the blade needs to be in working order. Dull blades are dangerous because they require more force to make the cut. This increases the possibility of the tool slipping. Blades should also be clean, free of large chips, and, if they’re metal, free of rust. Note that when a standard (ie. non-Slice) metal or ceramic blade does need to replaced, the used blade must be disposed of in a sharps container. The tool itself should have no loose parts or cracks. Any tool that doesn’t meet these standards should be fixed or replaced. All tools need to be cleaned regularly. This is especially true of tool handles. Hands are notorious for spreading germs. Items, like handles, that we touch become home to thousands of potentially infectious bacteria and viruses. This is one of the hidden workplace hazardsthat’s easy to overlook. Tools should be cleaned after each use. All PPE should be free of holes or tears. Also very important: PPE needs to fit well. A major complaint, especially about gloves, is that they are awkward and don’t allow free movement. PPE is never a one-size-fits-all proposition. Providing the appropriate gloves is critical, since lack of hand protection is a major cause of injuries. 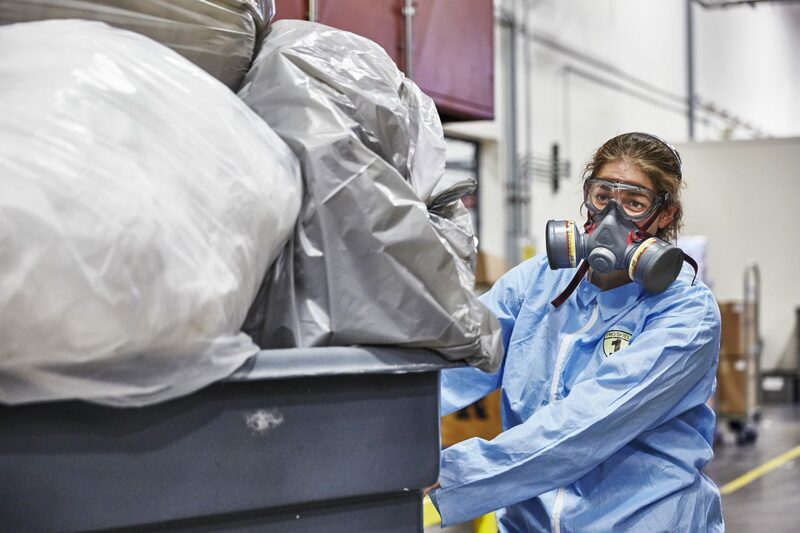 PPE should be cleaned regularly, especially if several workers are sharing the same PPE. The same reasons that apply to cleaning tools apply here: it’s just good hygiene. Quality tools last longer and are safer than flimsy, cheap models. Your workers’ well-being is worth the investment. Look for tools that feature an ergonomic design. This will reduce fatigue and the possibility of repetitive stress injuries. Make sure the handle surface is easy to grip; this will reduce the chances of slippage. Also look for other design features like whether the tool is properly weighted so it’s easy to control. When choosing cutting tools, note how the user will be protected from the blade. Is there a safety cap? Is the handle retractable? In its safety tips for hand tool use, the Canadian Centre for Occupational Health and Safety lists teaching correct tool use at the very top. Improper use is one of the most common reasons workers get injured when using tools. In your designated tool use area, post hand tool safety pictures and posters that depict proper use. There are also loads of videos that show proper cutting techniques. Additionally, provide hands-on demos, so workers see and experience how to use tools safely. Be sure to be methodical in your approach. replace your tool and PPE to its designated place. Safety isn’t complicated, but it must be taken seriously to avoid injuries. Unfortunately, it’s obvious—given the number of preventable workplace injuries employees suffer—that this isn’t always the case. Simple precautions like these five hand tool safety tips can be the difference between healthy hands and a trip to the emergency room. This post was originally published on the Slice Workplace Safety blog. Learn more on the Slice website.